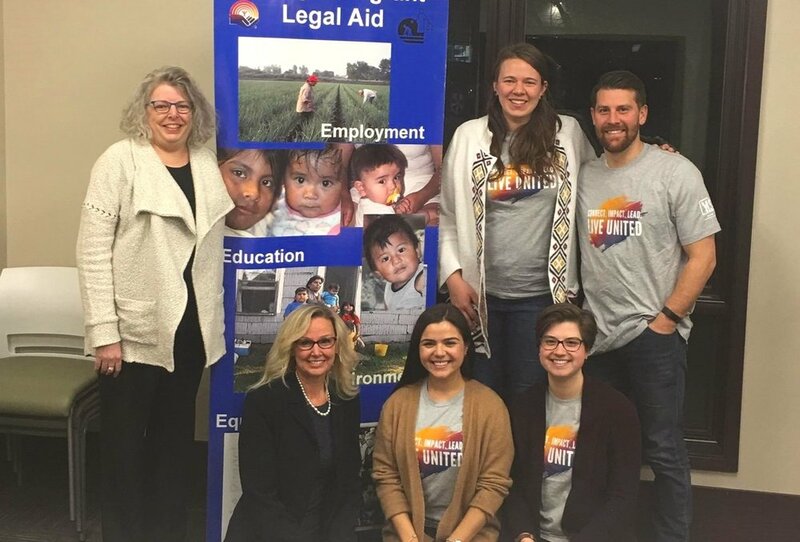 In January, Heart of West Michigan United Way’s Young Leaders Society announced they would be awarding a $10,000 “pop-up” grant to Migrant Legal Aid. The grant will be used to create a program whose goal is to increase trust and open communication between the migrant worker community and law enforcement in Kent County. YLS members share their thoughts on the grant allocation process and why this issue spoke to them. Q: Why did you choose Migrant Legal Aid for this grant and why this program in particular? Amy Mulder: Migrant Legal Aid stood out to me immediately for a couple reasons. First, they had already established a program they would be building off of – so we knew they had experience and a foundation for their proposal. Second, they had clearly thought through how they would use the grant funding and could tell us specifically how they were going to use the funding. Q: Was it difficult to choose between the different agencies that applied for the additional funding? Dana VanDiggelen: Selecting an organization was more difficult than any of us would have imagined. All of the grant proposals would have had a great impact on the community, which is what made the selection process so challenging. Q: What for you makes the issue of migrant worker/law enforcement relations particularly relevant right now? Kelsi Jenison: With our current political climate, distrust of the police is rampant in many communities. It is especially difficult for migrant workers because they have the added fear of being sent back to the horrors they left in their native countries. Dana: Michigan has a large farming economy, and migrant workers are essential to its viability. Our political climate has made it “OK” for people to openly speak about law enforcement deporting members of our community. When an already vulnerable group of people fear law enforcement it leaves them exposed to abuse and exploitation. Q: Why are you hopeful that relations between local law enforcement and migrants can be improved through this grant? Amy: I am hopeful because Migrant Legal Aid has a great proposal for a long-term solution. Being able to see how our grant is going into education, coaching programs, and identifying community liaisons, it really goes to show how we can make an impact in West Michigan. Kelsi: By giving police the tools to communicate more effectively and be more visible in these communities, we are hopeful people might feel safe calling the police when they need help. Having a person they can trust, instead of the unrealistic image of the cruel police officer, will help them get the help they need. Dana: Education is power. Educating our law enforcement officers how to interact with these vulnerable groups of people will help build trust within the migrant community. From there our migrant community is much more likely to report abuse, know their rights, and see an ally in law enforcement rather than fear it. Q: What have you learned through this process so far? Amy: I had no idea how complex the grant allocation process was at United Way. Doing this on a smaller scale with a micro-grant helps me appreciate the many layers and thought that go into how each dollar is spent. Dana: I learned how hard it is to decide which programs get funded and which do not. Our main goal is to create an impact and help the community. When you are provided numerous proposals that all better the community it is very hard to select which ones are funded and which are not. Q: YLS will be tracking the progress of this program for two years. What are you hoping to learn through this process? Kelsi: I’m hoping to learn a lot more about Migrant Legal Aid and how they are making a difference for the migrant communities in West Michigan. I’m also curious to see how well this program is embraced by law enforcement. Amy: I hope that we can tell a story through this. Young professionals want to feel like they are a part of something, and I hope this process can really showcase the ability to come together, get involved, and make an impact. For more updates on Young Leaders Society’s grant to Migrant Legal Aid, follow YLS on Facebook and Instagram. You can also sign up to get news by email at hwmuw.org/youngleaders. Note: The YLS pop-up grant is separate from the annual Community Fund grant cycle.